Look, Team Ford gets it. You’re a busy person, with a lot on the go. And when you get stuck at a red light, you’re wasting valuable time. Now, while we would never suggest that you speed in your Mustang outside of a track, Ford’s Launch Control feature, found on the Mustang, just may help you regain some of that valuable time of yours. So read on to find out what Launch Control is, how it works, and why you want it. Ford developed its Launch Control feature for the Mustang to maximize traction, and give you smooth and consistent starts. Also, Ford knows you aren’t buying a Mustang because you need to get from point A to point B — you buy a Mustang because you want to get to where you are going fast, and in style. Now, with Ford’s Line Lock feature, you could just do burnouts every time you are stuck at a red light, but we want you to be safe on the road, and you are only allowed a finite amount of demerits before they take your license away. Not to mention you probably don’t want to replace your tires every week (Hey, I said probably). Utilizing Launch Control is as easy as can be; toggling through options with your 5-way switch until you hit Launch Control, set your preferred RPMs to launch at, hold the clutch or the brake (I know you think you want a manual, but 10 speeds. Ten!) and depress the gas pedal, and then boom! You’re tires will grip the road and you’re going to move it, like Reel 2 Real told you to (Yikes, that video didn’t really hold up now did it?). Now perhaps you bought a Mustang because you enjoy the exterior styling more than the bone rattling tune that exhaust pipes sing — that’s cool too. You can always switch it off the same way you turned it on. But I know my Launch Control is staying on, and the only time I’m fiddling with it is to adjust the optimum RPMs for the road condition. Otherwise, see yah in my rearview!  If you want to know more about the Mustang and Launch Control, check out Team Ford for all of your Edmonton Ford needs. Oh yeah, and drive responsibly.